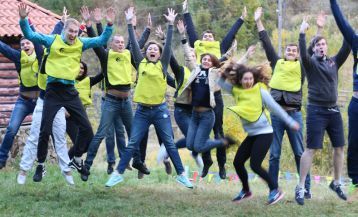 Due to the geographical and climatic conditions, as well as the unique mountain landscapes Armenia is a very favorable country for the development of adventure travel. Here you can find everything: mountains, lakes, forests, rivers, gorges – in short everything that can attract adventure lovers. Every year the country is visited by the tourists who want to move away from everyday life and plunge in a completely new and unforgettable experience. 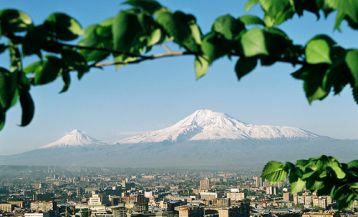 Armenia has good conditions for paragliding, mountaineering, ski sports, snowboarding, rock climbing, trekking and others. In 2011 after the international voting arranged by well-known magazine “National Geographic Traveler “, Armenia was included in the list of top 3 best countries for extreme tourism. The landscapes of Armenia are very favorable for paragliding. 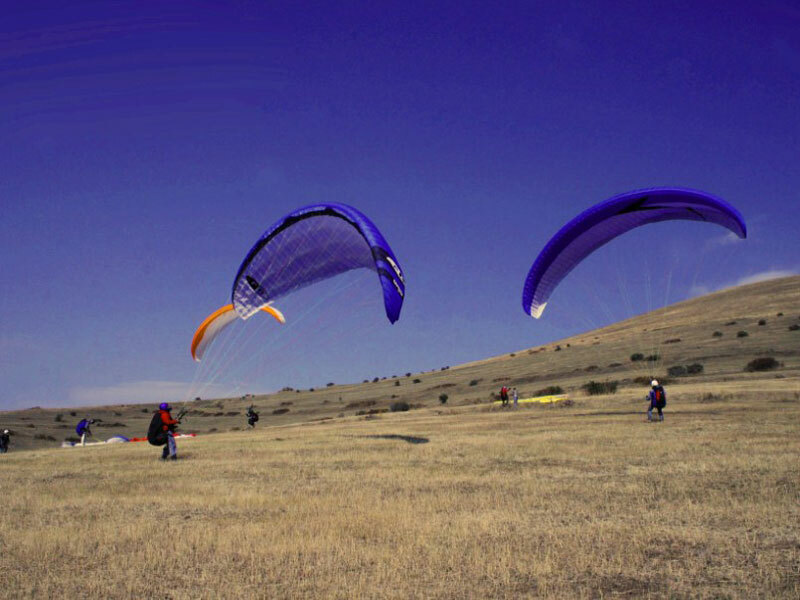 The first paraglider was brought here in 1996 by the founder of “Small aviation of Armenia”, and then in 2008, the country established the Federation of Paragliding. 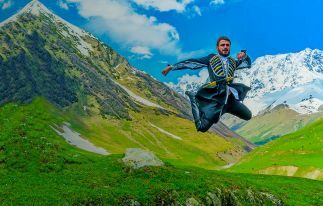 The flying places are quite variable, and the tourists visiting them will be able to enjoy unique beauties of our country. The most popular are Mount Hatis, the village Covagyugh, Mount Armagan, Mountains Vayots and some other. Each of them has its advantages and benefits, and the choice of location for the flight depends on the season, weather conditions and some other important factors. More information about paragliding in Armenia can be found here. For those who wish to take part in the flight and feel the taste of real freedom, AraraTour Company has special exclusive tours. If you have never tried this kind of sport before, do not worry, as the Paragliding Tour to Armenia involves tandem flight with an experienced instructor, so no prior training is required. You will be able to fly in tandem and get a lot of positive emotions. And those who want to learn to fly paraglider, Arara offers 10-day Paragliding Training, at the end of which the participants will get a certificate. Lately, Armenia has been attracting more and more skiing lovers. Here you can find three ski resorts: Tsaghkadzor (60km from Yerevan), Jermuk (180 km from Yerevan) and Sevan (60 km from Yerevan). The resort town Tsaghkadzor since Soviet times has been considered one of the best ski resorts due to its climate and nature conditions. In 1968, the main sport base of the USSR was built here and world-famous sportsmen visited the town for training. 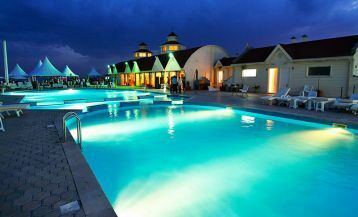 Now the resort has been modernized. It has the all necessary infrastructure and well- developed ski trails. On the slopes of Mount Teghenis the 4-speed rope-way was built which is equipped with modern and safe technology. The way serves 600-1200 people. Tsaghkadzor has more than dozen ski trails, the total length of which is 7200 m. The middle part of the mountain is developed for beginners as the route is easy and the top part of the slopes is very steep with sharp drop (350 m.) If you go up to the highest point of skiing (2819 m), a breathtaking view of Mount Ararat will open in front of you. Equipment can be rented at the foot of the mountain; ski kit will cost 5,000 drams ($ 10.4) and the cableway tickets – 1,500 drams ($ 3). Ski season here begins in December and ends in early March. The other town offering skiing and snowboarding is Jermuk. Eight years ago the double-chair cable-way was constructed here. The trails are only two: one for beginners (1400 m), and the other for experienced athletes (1300 meters). The ticket for the cable way is only 1,000 drams ($ 2), and sport equipment renting is 6000 ($ 12.5) AMD (Ski package), and 10000 ($ 20.8) (set for snowboarding). Mountaineering and climbing are special kinds of outdoor activities, which are preferred by real lovers of extreme sports. Armenia is a mountainous country, offering a great choice for fans of this sport. 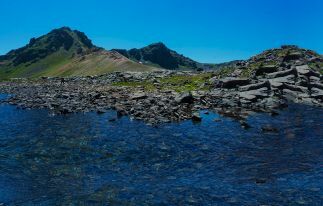 One of the most popular routes is the ascent to Mount Aragats – the highest point in Armenia. It is situated in Aragatsotn region, which is sometimes called “Armenian garden”. This name the region got because of it amazing beauty: mountain peaks, surrounded by vast alpine vegetation. You can get to the mountain quite easily: just take a taxi or a minibus that goes to Aparan town. Aragats has four peaks. The lowest and the easiest for climbing is the southern peak (3879 m). The climbing usually starts from Lake Kari, and will take about 3,5 hours. The highest is the northern peak (4090 m). The climbing to it is not quite popular as it requires lots of preparation. 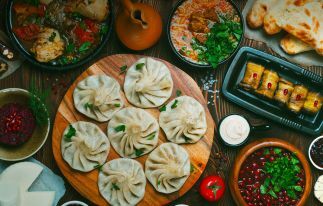 The itinerary starts in Aragats village, and will take no less than one day. Another place that is unlikely to leave indifferent fans of extreme sports is the gorge of Noravank Monastery. The gorge is located at a distance of 80 km southeast of Yerevan. This place has great potential for rock climbing. Here you will see steep limestone cliffs, and the picture is completed by the surrounding lush vegetation and picturesque river. The only thing: be careful of snakes and scorpions that live there! The other interesting place is the Gorge of Garni, located at a distance of about 30 km from Yerevan. The gorge is framed by rocky walls, consisting of basalt stones. There are three roads that lead to the gorge and any local resident will be able to show the way. The gorge is framed by rocky walls, consisting of basalt stones. There are three roads that lead to the gorge and any local resident will be able to show the way. 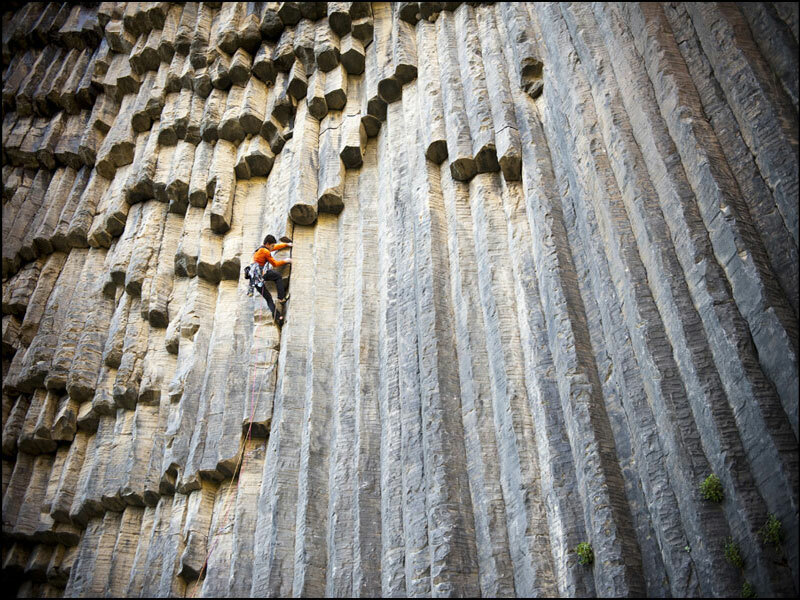 Several years ago, Armenia held II International Festival of climbing, which was attended by climbers from 10 countries. The festival started in Noravank, and among the participants, only 7 were local Armenians while the rest came from Europe, China, and Korea. All trekking fans are also advised to get acquainted with our Trekking Tours in Armenia. And our Hiking tour in Armenia will give you an opportunity to hike to the most beautiful corners of the country. Many other strains of extreme tourism are developing in Armenia. Our company also offers moto tours, jeep tours and cycling tours around Armenia.